This is part of a triptych of images based on Psalm 22, 23 ("Hills") and 24 ("Hands.") The cross is such a familiar symbol that I wanted to include an element that would raise questions. The items in the right hand corner of the design represent the 'casting of the lots.' 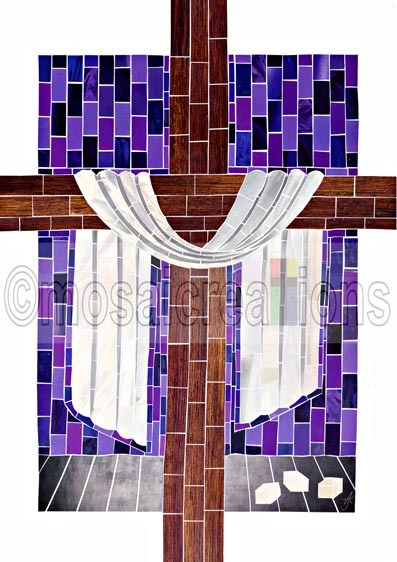 The purple background represents the temple curtain that was torn in two at the death of Jesus.